Q. Why am I getting a login screen when accessing Library Resources? Why am I getting a login screen when accessing Library online e-Resources? If you are seeing a login screen from a database page, when you had accessed the resource from the Library homepage or start from a Library Subject Guide. Please try to authenticate yourself again via OpenAthens Login. 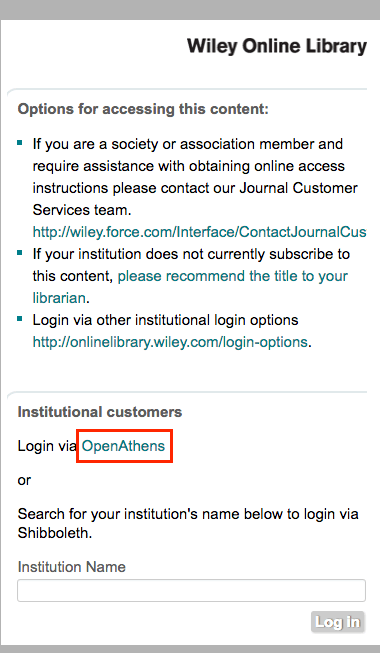 You may encounter below login page asking you to pay when you are accessing Cochrane Library or Wiley, please click on Login via OpenAthens and try to login using your SIT username and password.